I started this blog Monday. We finally made it to Yellowstone. I think we’d worn the sickness out by then. We rented one cabin, where we cooked and showered and a few us us slept, and the rest of us slept in the campers. 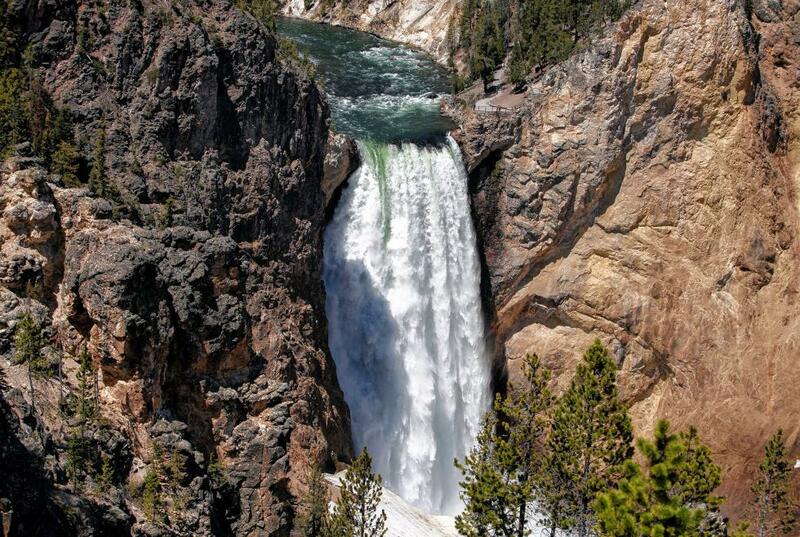 Of course, we saw everything there is to see at Yellowstone. 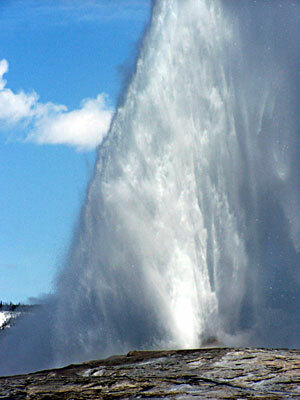 Old Faithful, who really was faithful back then. I don’t know how is he now. This is that Grand Canyon. Picture from Wikipedia. 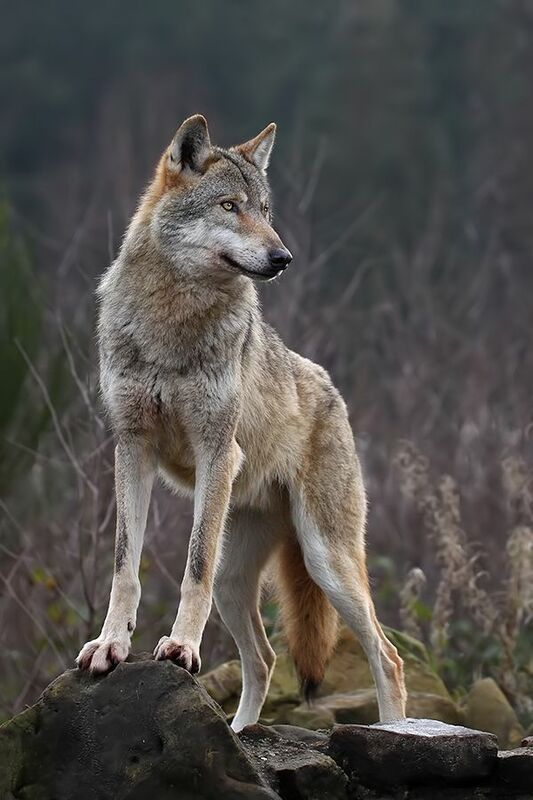 Gorgeous, isn’t it? Another place, we hiked down a wonderful, smooth asphalt path to a lower waterfall. On the way down, I saw my first Newfoundland Dog. (At first, I thought it was a bear on a leash.) When we got there, we marveled and exclaimed and climbed rocks. I decided I wanted another angle in a picture, so I climbed a little way up the rock wall beside the falls. Of course, there was a heavy mist coming from the waterfall and the sun was shining bright on us. When I turned around to take the picture, I wasn’t surprised to see rainbows. What surprised me was that I saw a complete circle rainbow! If there’s not something to stop it (like the earth or a building or cloud) a rainbow will make a perfect circle! Who knew? (Probably anyone who paid attention in science class.) I didn’t! 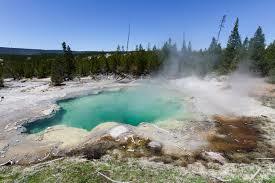 Tons of hot springs and mud volcanoes in Yellowstone. TONS! I don’t know the temperature of the springs, but I’ve seen Dante’s Peak. I don’t want to test it! LOL. And he was a great fisherman. If I remember right, he didn’t like to eat fish, he just liked to catch them. I’d say that was where The Great Fisherman Jeffrey got his fishing gene, but Melvin wasn’t related except by marriage. Maybe Jeffrey caught it by osmosis. The guys all went fishing while we were at Yellowstone, and left us womenfolk behind. Anyway, they finally got to the spot someone told them about, and after an hour or two without catching a fish, they hiked back to the truck, again through clouds of mosquitoes. (No wonder the trout didn’t bite, they were full from eating blood suckers.) At least one of the guys (Brother Jeffrey?) ran most of the way back and locked himself in the truck to get away from the bugs. 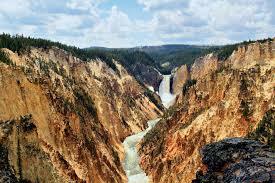 Have you been to Yellowstone and seen the Natural Wonders God put there? Think He was showing off or just giving us a taste of Heaven? Oh, wow. I didn’t even mention the animals! Categories: Small Town World Adventures | Tags: campers, Colorado, Family, Fishing, mountains, Popcorn, Vacations, waterfalls, Yellowstone | Permalink.